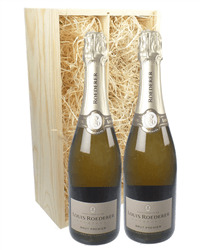 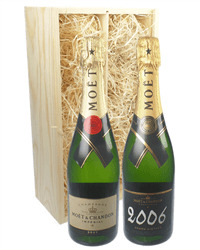 This is a great gift and one that can be kept and used over again once the Champagne has been drunk. 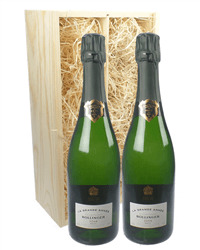 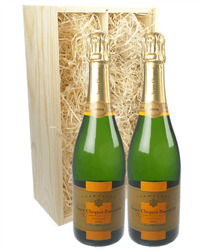 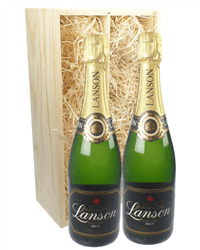 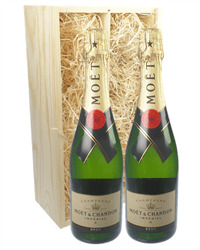 The gift contains a full size bottle of Lanson Black Label and a full size bottle of Lanson Rose Champagne, they are presented in a small lanson branded case. 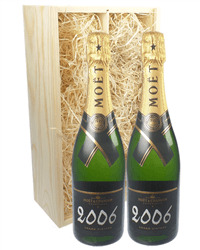 The case can be used again and again and has a working combination lock on it to keep valuables safe making this a great fun gift.